How many of you here hate Rava Upma???? I really dont know the reason, but I do hate it. Will never want to have it for my life time. Every time mom makes it at home, I find something or the other to eat or even decide to starve, than have it. I have heard the same kind of reaction from so many. Don't know why rava upma got such a curse!!!! Soak par-boiled rice for two hours in water. Grind soaked rice, 8 red chillies along with all the other ingredients except curry leaves into a little coarse paste. You can add water to it and grind. Take 2 tbl sp of oil in a pan and season with mustard, 2 red chillies and curry leaves. Now pour in the ground mixture and also add 2 cups of water to it. Keep stirring until it gets thick and cooked. Now simmer the stove, close the pan with the lid and let it get cooked for a while. Stir now and then. It will take around 20 mins to get done. 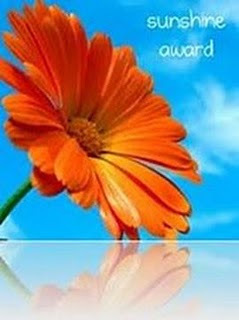 Thanks to Beena Shylesh, Priya Raj, Krishnaveni Mahesh and Hari Chandana for gifting me the cute Sunshine award. I am in bliss. :) Thanks a lot. This is new to me ! But I agree with you.. I wont say I hate upma but yes I avoid it and just don't prefer it ! 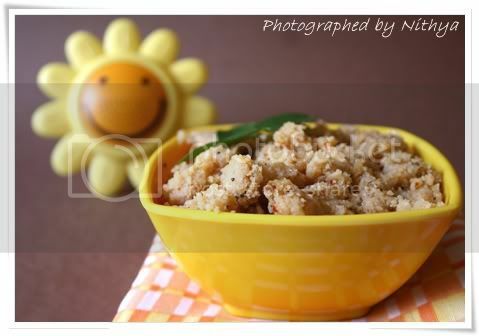 delicious upma....never tried but had at friend's home..nice presentation and click! Tamarind upma, New to me Nithi, Will sure give it a try!!! Congrats on your award!!! 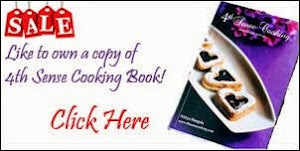 Interesting recipe with lovely clicks! Tamarind in upma va...sounds diff..looks perfect ..will surely try it next time ..
OH Nithya, Thank God..There's somebody else too besides me who does'nt like Rawa Upma..I thought I was the only one..LOL. BUt I still make it for my hubby who loves it..I make it with lots of vegetables so atleast I can eat a little..Next time I'll try this tamarind Upma..Congratulations on ur award..
lovely post with vibrant yellow and a delicious upma. I love upma, will definitely try your version. Hats off to your creativity !! Yummy !!! Again my favorite one. Who will say no to this. I haven't had breakfast yet, So seeing this I am feeling more hungry. Nice one and first picture is awesome. 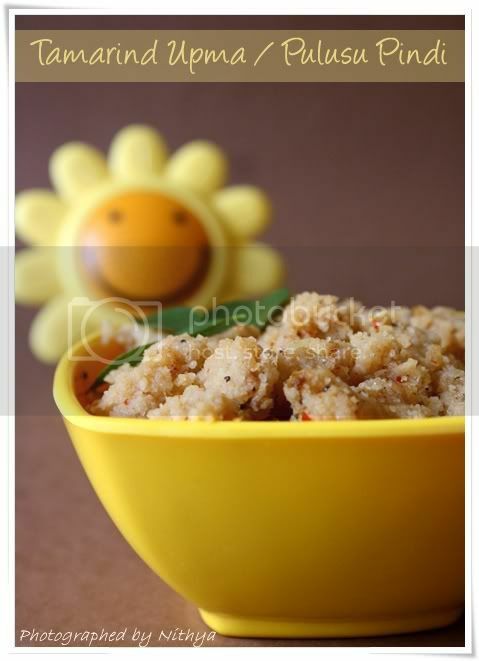 Tangy upma looks great and I'm sure tastes great. But I do have to tell you - don't run away totally from rava upma. When done perfectly and eaten really hot, it is a delicious dish. Try a Kichdi with all vegetables- you'll start liking it. I used to hate upma-now I sort of enjoy it. Must try your version. Tamarind version sounds yummmy, would love to try it soon! 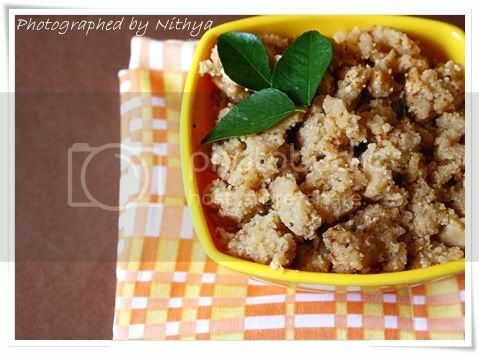 Thank u nithya for the award..Upma luks fab and delicious..Ur clicks r getting better in every post.. This is the blog of soma pradhan who has showcased her paintings and creative art here. Hope you will like it.